Mario Kart is now a 100 million unit selling series. Friday’s launch of Mario Kart 8 has pushed the franchise past the mark with 1.2 million copies sold. The worldwide sales are a strong start, especially given only 6 million Wii Us in circulation as of March 31. Nintendo also shared complete sales history for the franchise, which has gained momentum over the years leading to 35.53 million copies of Mario Kart Wii sold since its release in 2008. The title and Nintendo's free game giveaway (with purchase, of course) has been so successful that the Club Nintendo servers have struggled to keep up. For more on Mario Kart 8, be sure to check out our review. 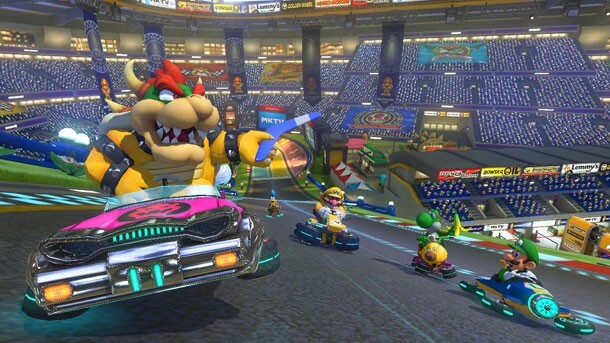 Mario Kart 8 was expected to be a big seller, and it does not disappoint. I’m eager to see how it impacts Wii U sales, as the title is likely to drive performance of the console for the coming months.